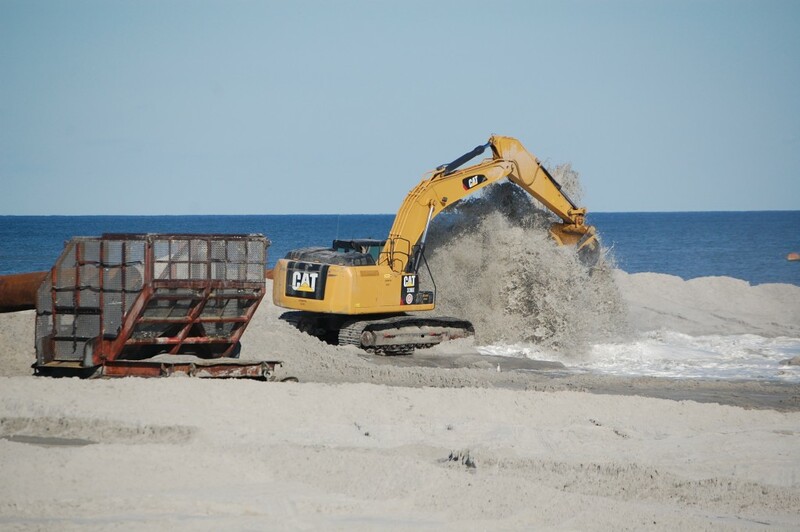 The U.S. Army Corps of Engineers announced Wednesday that it had awarded a $92 million contract to a New Jersey-based company to complete a long-awaited dune-building and beach replenishment project on Ocean County’s northern barrier island. Weeks Marine, based in Cranford, will see the project through. The initial phase will begin with the $92 million of work and, if all bid options are awarded after legal challenges from oceanfront homeowners are settled, the total cost of the project will be $128 million. Initially, the project will include southern Mantoloking, Brick, all portions of Toms River (including Ortley Beach), Seaside Heights and Seaside Park. Because of ongoing legal issues regarding challenges to easements and eminent domain claims, Point Pleasant Beach, Bay Head, the northern portion of Mantoloking and the South Seaside Park section of Berkeley Township may be added to the project at a later date. Physical construction is expected to begin “by spring of 2017,” a statement from the Army Corps said, with completion projected by the end of 2018. The exact schedule of which areas will receive replenishment first has yet to be determined. The Army Corps will closely coordinate with the state Department of Environmental Protection and Weeks Marine on the construction schedule and will post updates to its project web site when further information is available, said Stephen Rochette, spokesman for the Army Corps’ Philadelphia district, which is overseeing the project. During construction, communities can expect the construction crews to close no more than 1000 feet of beach at a time as work progresses along the island on a rolling basis. More than 11 million cubic yards of sand will be dredged from approved borrow areas and pumped through a series of pipes onto the beaches of the municipalities, the Army Corps said in a statement. For most of the project area, dunes will be built to an elevation of 22 feet. Beaches will be constructed from 100 feet to 300 feet wide and to an elevation of 8.5 feet. The project area will be eligible to receive periodic nourishment over the course of 50 years to replace sand lost through erosion. In addition, the contract includes the construction of dune crossovers, placement of sand fencing, and dune grass plantings.